The purpose of the separation of the Catholic Church from the state was not to protect the Church from the Government. It was not even to protect the government from any religious interference. The goal of it was to establish an “Enlightened” religion in the Church’s place, a religion which by its philosophy subverts its own authority. Unfortunately, some Catholics fall into the trap of regarding the state as always ready to control or suppress the Church if given the chance. After all, did not the Roman Empire persecuted the early Church, and then fall because of its decadence? This line of reasoning ignores the historical truths that the Empire did not fall and that Church and Empire became almost interdependent, truths hidden under layer upon layer of deliberate misinformation. 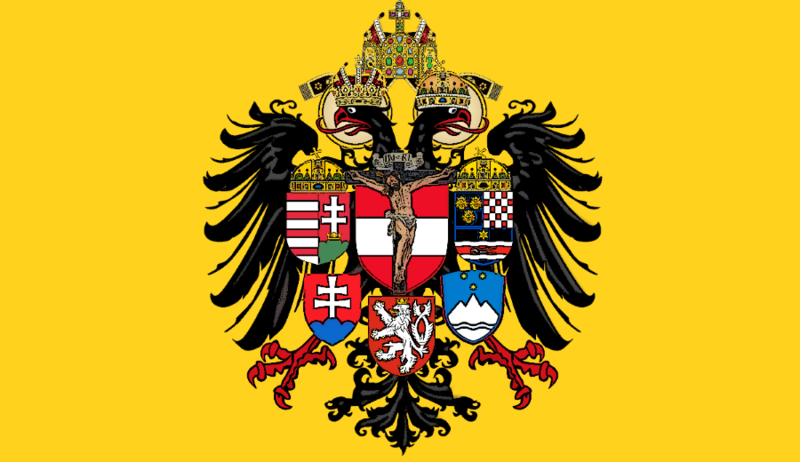 The whole mess of modern politics stands in stark contrast to true Catholic government with its acceptance of the natural Hierarchy or “Vertical Order”. The Catholic King or Emperor at his coronation was constantly reminded by an ancient and profoundly symbolic ritual of his duty to God and Church, to whom he owned his authority. The Imperial Mitre-Crown (the symbol of combined Temporal and Spiritual Authority, much like the Papal Triregnum) and the consecration of the Emperor to the Holy Order of the Deaconate served to stress that the Temporal Lord of Christendom was first and foremost the servant of the Lord of Heaven and Earth. Compare this to the almost complete lack of symbolism in modern ceremony. The unity at the heart of the Empire and the Church is something that we must strive to restore in modern times. The alternative is already unfolding before our eyes. I have consistently maintained, there is no separation of church and state, it is only the case that the church may change. Today, the ‘Cult of Progress’ is the state church of so-called ‘secular’ countries, and it enforces its satanic dogmas with ruthless efficiency and disregard for human life. Unfortunately for the “Secular” State, the Cult of Progress ultimately undermines the very State itself.